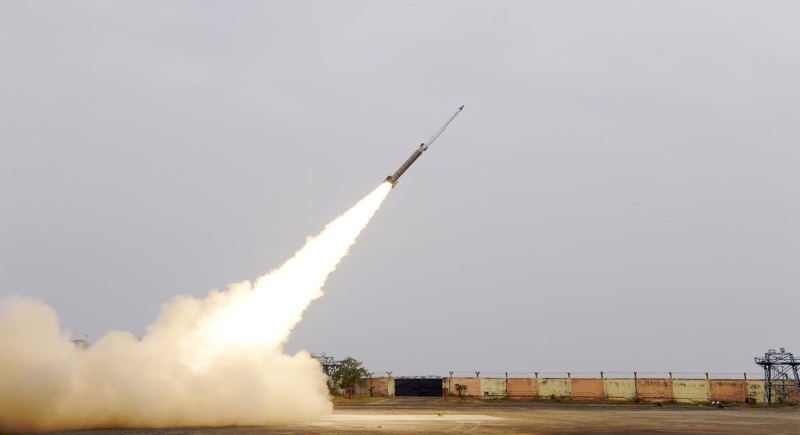 Balasore, Feb 9: Defense Research and Development Organization (DRDO) successfully flight tested Solid Fuel Ducted Ramjet (SFDR) propulsion based missile system from ITR, Chandipur, Odisha on Friday. This SFDR is 2nd indigenously developed missile system from DRDO. Ground booster, separation of the ground booster and Nozzle-less-booster performance were found satisfactory. The missile was guided to high altitude to simulate aircraft release conditions and subsequently, nozzle-less-booster was ignited. SFDR based missile accelerated to achieve ramjet Mach number successfully. The trajectory was tracked by telemetry and radar stations till touchdown. All the mission objectives have been met.